The Loss Prevention Foundation (LPF), in partnership with the University of Indianapolis Department of Criminal Justice, held its first Learning Day of 2019 on Tuesday, March 12, on the campus of the University of Indianapolis. Over 80 university students, loss prevention professionals, solution providers, and professors gathered for the one-day educational event. Dedicated to the loss prevention industry and the opportunities that it affords, the event centered on industry professionals sharing insights on asset protection, professional development strategies, security techniques, analytics, crisis management, and cyber-crime defense. Attendees included those interested in a career in public safety, business, or related fields, as well as current loss prevention professionals looking to take their career to the next level. The event featured industry professionals sharing their thoughts on asset protection and professional development strategies, as well as security techniques including crisis management, cyber-crime defense and intelligent CCTV systems. 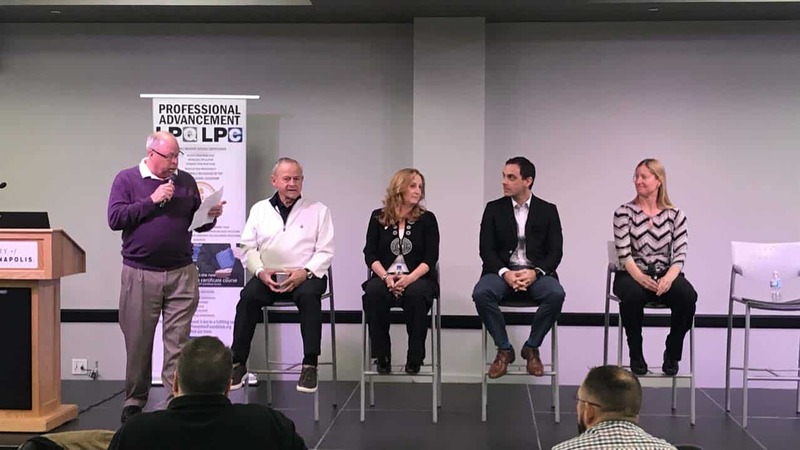 There were also discussions on the future of loss prevention as a career path, how the industry is evolving, and the importance of adapting our tools, methods, and mindset to the changing needs of the business—and the world in general. The interactive focus of the presentations allowed participants to communicate directly with industry leadership and solution providers. Students and other attendees were provided first-hand insights into how we’ve expanded beyond traditional methods of loss prevention, building upon established skill sets and transitioning into a profit enhancement partnership. There were also discussions on what lies ahead in the industry, and how the roles and responsibilities of the profession are expected to expand over the next several years. In addition to Kevin Whiteacre, LPQ, and Jim Perillo, LPC, from the University of Indianapolis, speakers also included Hedgie Bartol, LPQ – Axis Communication; Guy Yehiav – Profitect; Logan Selbey – Simon Operation Intelligence Center; Kevin Lynch, LPC – Sensormatic; Jim Lee, LPC – LP Magazine; Sue Read, LPC – Fleet Pride; Rocco Speziale, LPC – Sears; Melissa Mitchell, CFI – Lifeway Christian Stores; Wayne Hoover, CFI – Wicklander-Zulawski; Kevin McMenimen, LPC – LPM Media Group; Joby Semmler – Stanley Security IntelAssure; Cita Doyle, LPQ – Instakey; and Chris Vece, LPQ – Protos Security. At the end of the session the LPF surprised all in attendance who were not already LPQ or LPC Certified with LPQ or LPC scholarships provided by the LPF participating partners which included Axis Communications, InstaKey Security Systems, LPM Media Group, Loss Prevention Magazine, Profitect, Protos Security, Sensormatic and Stanley Security. “We are so blessed to have so many great partners and when we announced this the room truly lit up with appreciation! This was an amazing day and I am proud to be part of an industry known for giving back,” said Mat Schriner, LPC, Director of Operations of the LPF. Stay tuned for the next LPF Learning Day event! Don’t miss the opportunity to get a closer look into the LP/AP profession, earn CEUs towards your Loss Prevention Certification (LPC), have a chance to win an LPF course scholarship, and meet some of the top retail LP/AP leaders and solution providers within the industry.